We are now taking orders for our Pasture for Life Certified Beltie Beef boxes for delivery end May/beginning of June. So this week we had a lovely (but blustery!) visit down at Carr Farm from fellow cattle farmer, designer and all round top lady Izzy Rainey – she wanted to feature the Belties in her “Over the Farm Gate” Blog…. 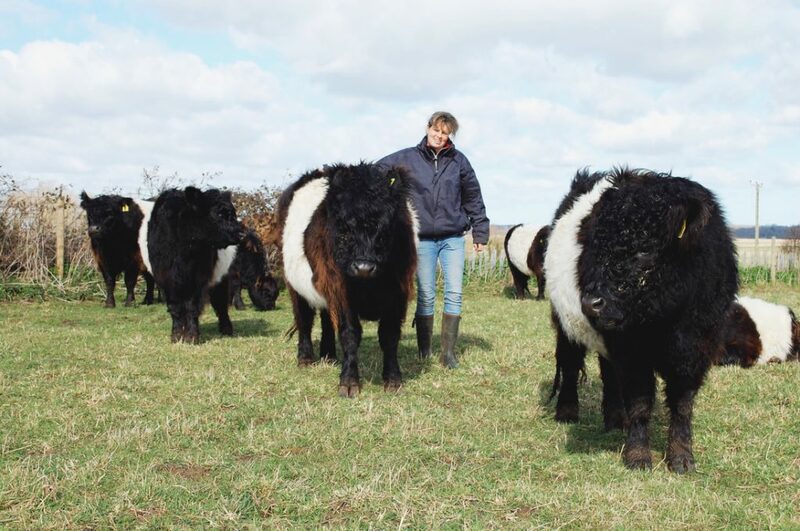 Keep an eye on Izzi’s next blog when she will be drawing some of our belties who may feature in her 2019 designs….we will keep you posted! 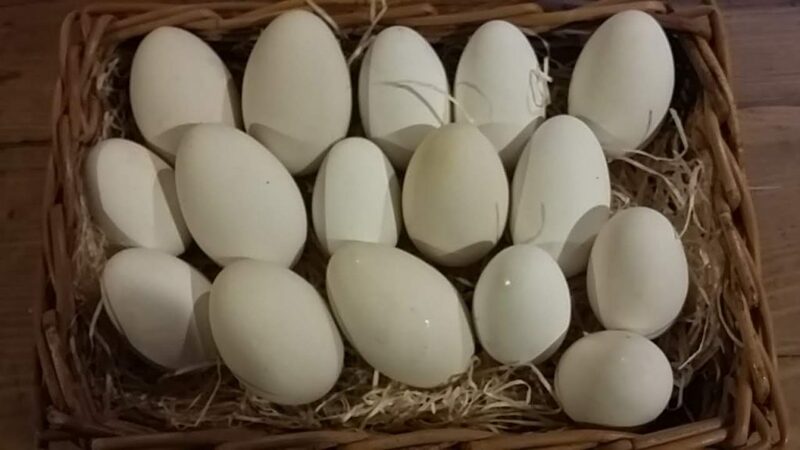 Goose Eggs available at Last! Our geese usually start laying on or before Valentines Day but this year they are rather late, strange as the weather has been so mild – anyway the girls are now getting up to speed so eggs are currently available from the farm and at the markets that we attend – Snape & Laxfield (first Saturday of the month) and Hoxne (last Saturday of the month). Hopefully we shll be able to offer them online shortly. Happy New Year from Carr Farm! Happy New Year to all our friends, family, customers and all the lovely people who we have met along the way on our farming journey. 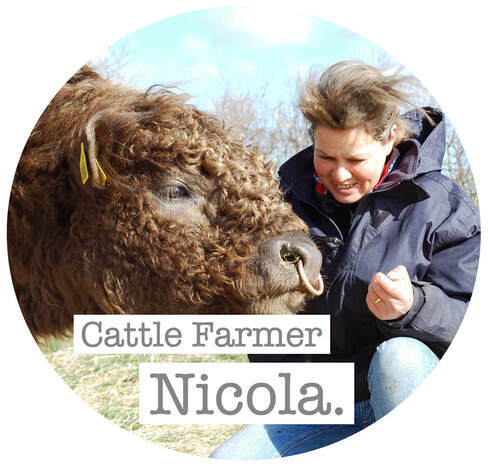 People who have supported our dream to make our small farm viable and particularly our passion for high welfare and environmental sustainability through our #pastureforlife certification – your support is so much appreciated and we are looking forward to 2019! Now taking orders for Christmas Geese, Hams, Beef etc ! Our Christmas order book is now filling up quickly – large sizes of Christmas geese are limited so don’t delay if you are feeding lots of guests this Christmas. We are also taking orders for Wiltshire style hams, chipolatas and bacon for your “pigs in blankets” and of course our lovely 30 day hung “Pasture for Life Certified” Belted Galloway Beef! 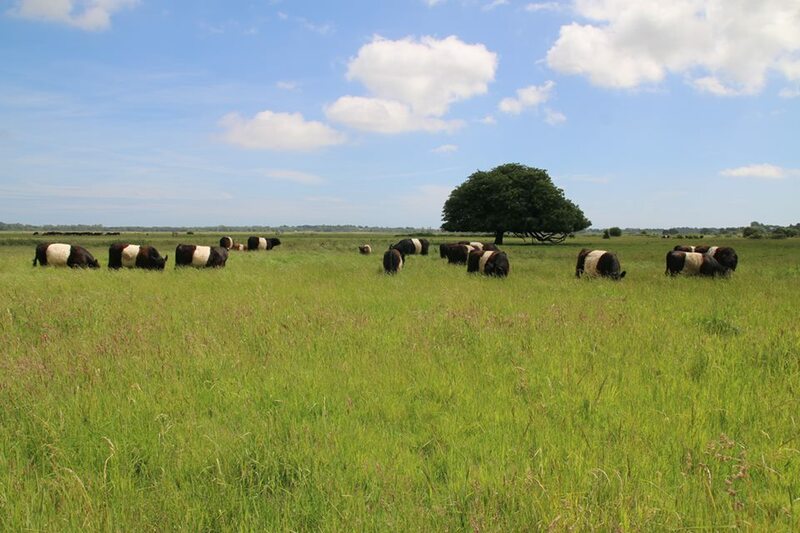 Waveney Belted Galloway Herd “Runners up” in Midlands Regional Herd Competition! Earlier in the year we were asked if we would like to participate in a Belted Galloway herd Competition for the Midlands Region – with the winner going through to a National Competition. 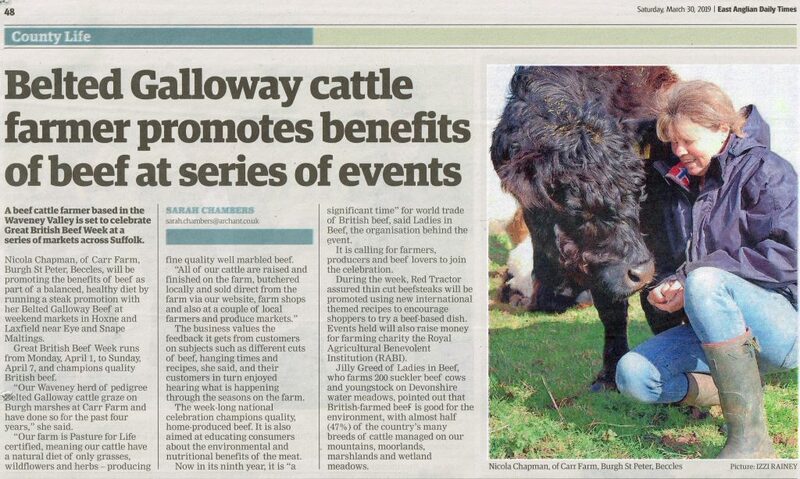 It was a great experience lots of useful feedback on all our animals from an experienced Scottish judge. At the regional group dinner in Derby on Friday 5th October the results were announced and we were thrilled to learn that our herd was overall regional runner up, as an added bonus our homebred Bull Waveney Harnser was joint runner up in the bull class and our homebred heifer Waveney Coshie was overall female runner up too! 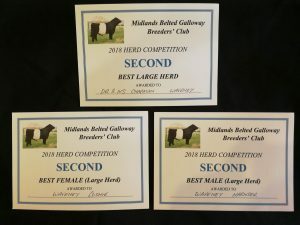 ….feeling so proud of our little “Beltie” gang! 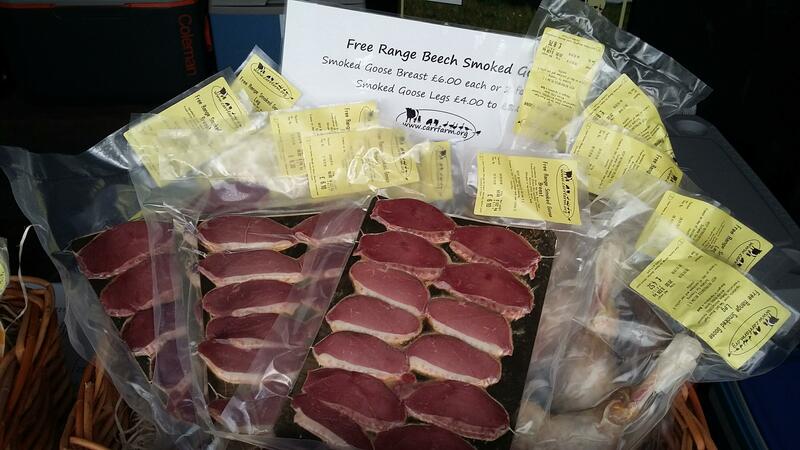 We had a great time at the 2018 Aldeburgh Food & Drink Festival – our Pasture for Life certified – 30 day hung Belted Galloway Beef attracted lots of customers and for something different the free range smoked goose went down a treat too! 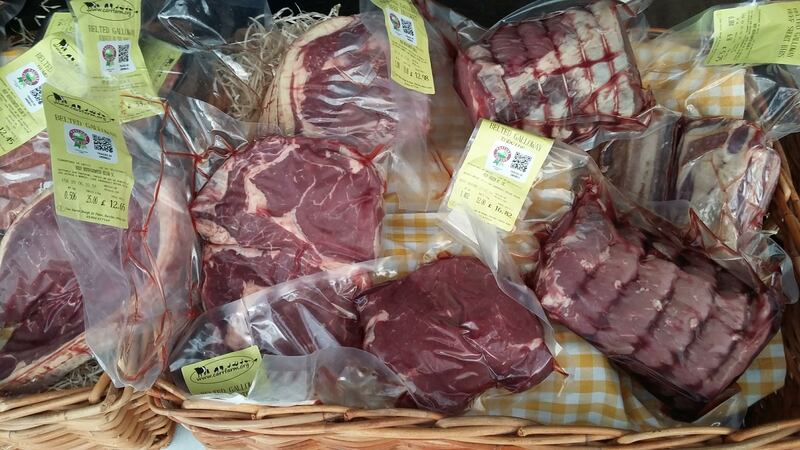 Now taking orders for Beltie Beef Boxes! 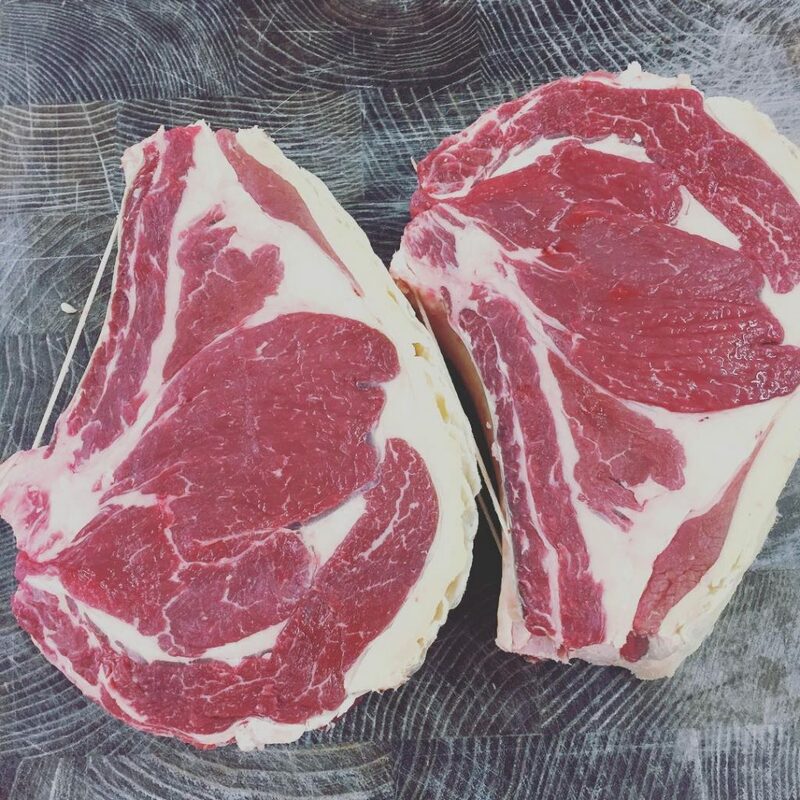 We are now taking orders for Beltie Beef Boxes which will be available for collection/delivery from end September/beginning of October 2018 – don’t leave it too late if you would like some as our order book is filling up rather quickly!